Handyman Bayswater among the top 5 best property service providers in the local W2 area for years. We pride ourselves with the excellent results we provide our customers with. The local handyman team is trained to the highest possible standards in the industry and works with the best materials and tools. We can help you with every commercial or residential property improvement and guarantee timely and superb results at a reasonable price for the local area. We guarantee top quality results of every job done by the experts. We offer an extensive range of services. No matter how odd a task may seem, don't hesitate to contact us. Why Choose A Handyman Bayswater? 24/7 Customer Care Support Contact us at a time convenient for you. All The Right Tools A Handyman Bayswater carry the most modern equipment. Affordable Rates Our prices are pretty reasonable for the remarkable quality of our services. 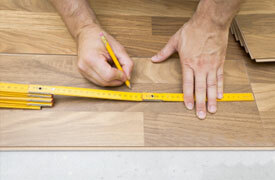 We can fit & lay vinyl, laminate, parquet & hardwoods for you. 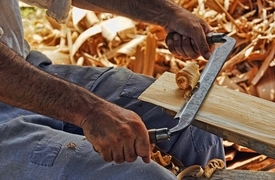 Let the professional carpenters deliver high-quality bespoke carpentry services to you. 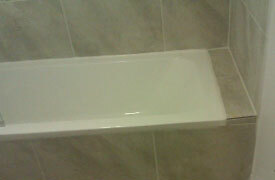 We can re-lay and repair your bathroom or kitchen tiles with ease. Let the professional painters breathe a new life into your property.